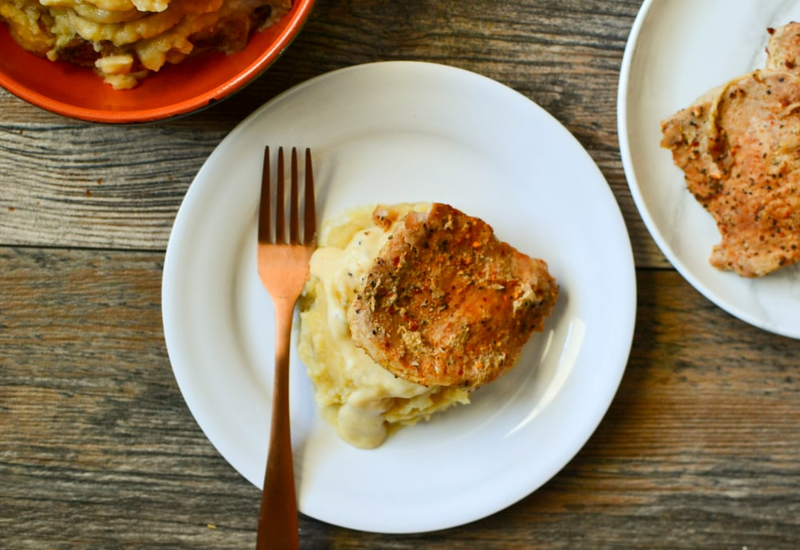 Get your main course and side dish done together with this slow cooker recipe. 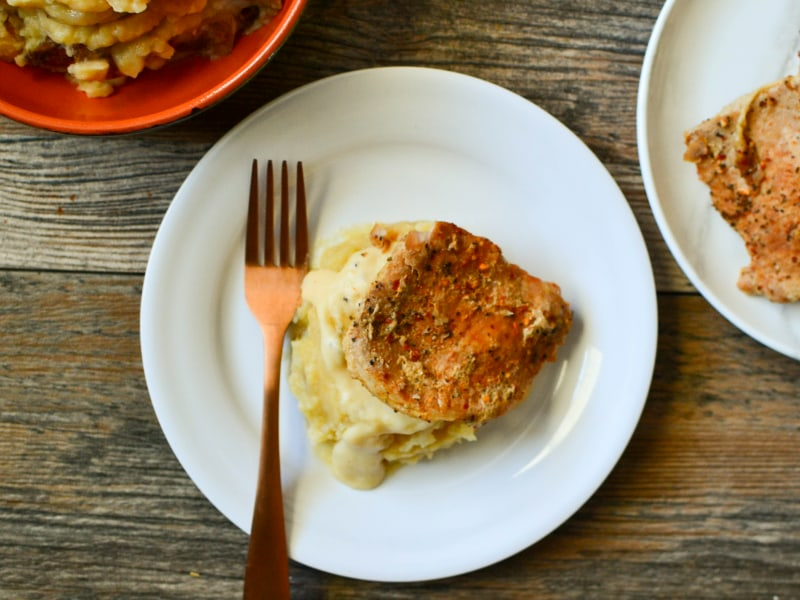 Seasoned pork chops top a savory pile of onion-spiked mashed potatoes and gravy for a delightful meal. Roasted garlic can add a nice richness to the potatoes. Per Serving: 650 calories; 35g fat; 42.6g carbohydrates; 44g protein; 148mg cholesterol; 835mg sodium. Tried these in a pressure cooker, very good! This is real comfort food! The key to the gravy is making sure you whisk the cream and flour real good. Love it! Really good pork chops. I went with a thick cut loin. Seasoned very well, a lot of great flavor. Also a big hit with the kids, who are really picky eaters.